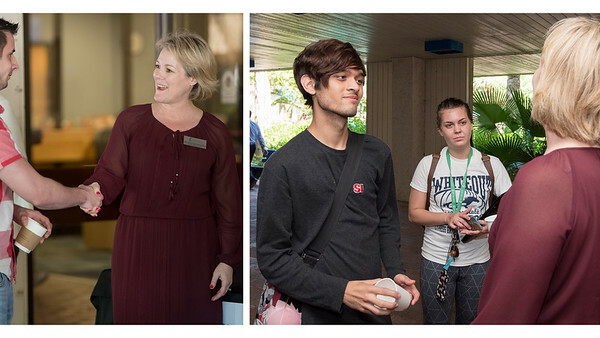 Interim President Kelly Quintanilla visits with students in the university breezeway to check in on their progress for the spring semester and ask if they have any questions she or other staff members can help them with as they prepare for class registration. 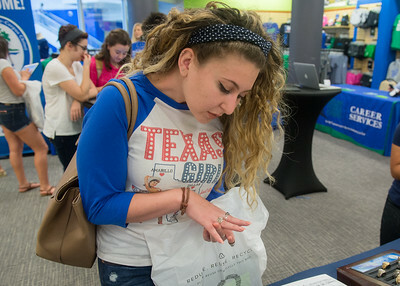 Sara Stephenson looks at class rings during the Spring 2017 Islander Grad Fair. 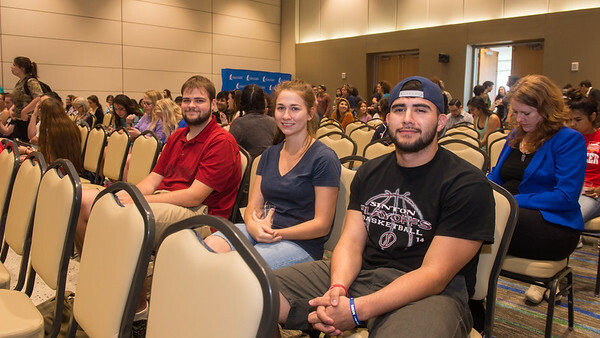 Dustin Wehe (left), Christine Shaw, and Isaac Martinez smile for our cameras while attending the When We Are Bold speaker event. 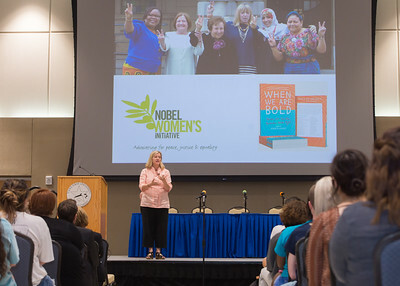 Rachel Vincent, editor of "When We Are Bold," addresses students during a book talk and presentation in the University Center. 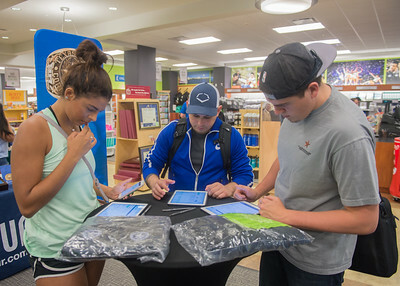 (Left to right) Brianna Oberstar, Raniro Ramirez, and Bradley VanWinkle purchase their graduation leis during the Spring 2017 Islander Grad Fair. 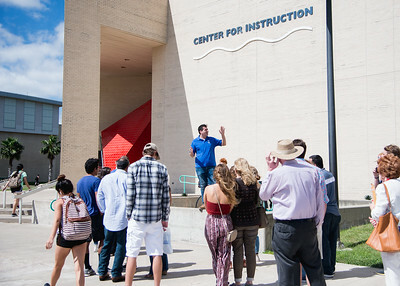 Island Ambassador Chris Potter gives a group of prospective students a tour of the TAMU-CC campus. 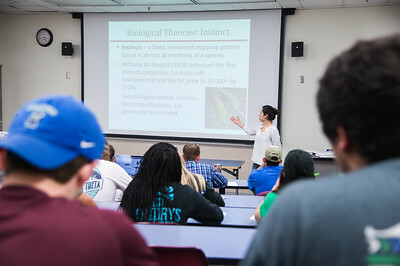 Students take notes during a lecture on Biological Theories. 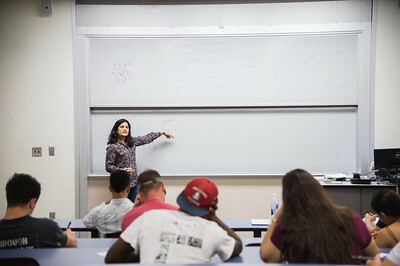 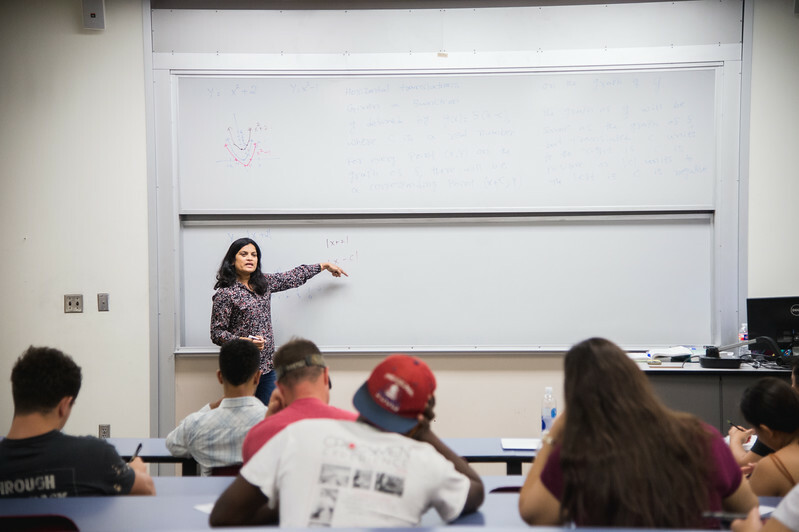 Professor Archana Krishnagiri breaks down a problem for her College Algebra class. 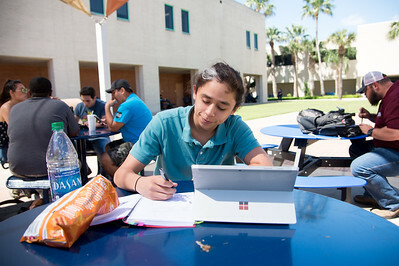 Daniel Ryan takes a study break outdoors in the Center for Instruction courtyard. 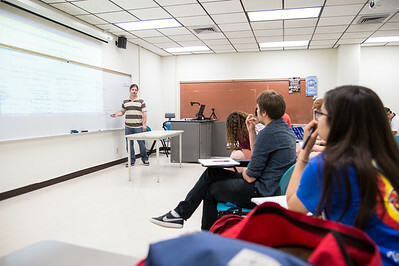 Mr. Sean Britt assists students as they prepare for an essay during a United States History seminar class. 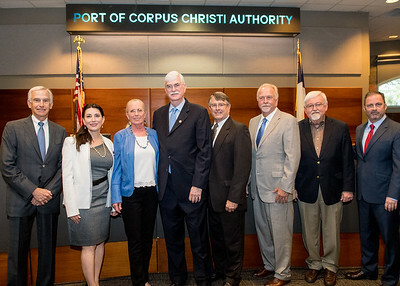 President Emeritus Flavius Killebrew was honored by the Port of Corpus Christi Authority with a Resolution of Appreciation during the Port Commission meeting. 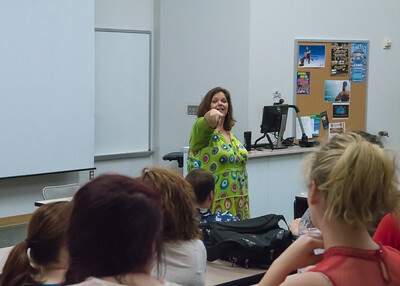 Professor Alison Frost calls on students to share their experiences during her Acting for the Camera lecture. 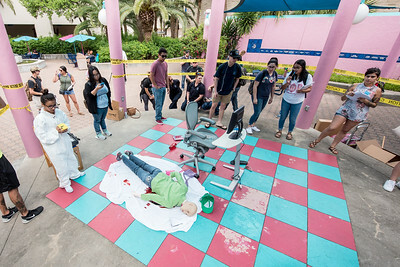 Ashley Durand (left) explains how experts collect evidence while students look on during a crime scene demo. 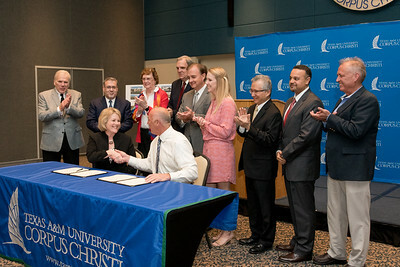 Interim President Kelly Quintanilla and Robert Johnson shake hands as dignitaries look on during the Innovative Aging Initiative Memorandum of Agreement Signing on Wednesday, March 22, 2017. 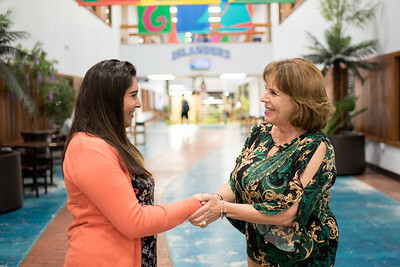 Si Se Puede scholarship recipient Ashley Cipriano (left) meets with Dr. Joann Canales, Dean of the College of Graduate Studies.